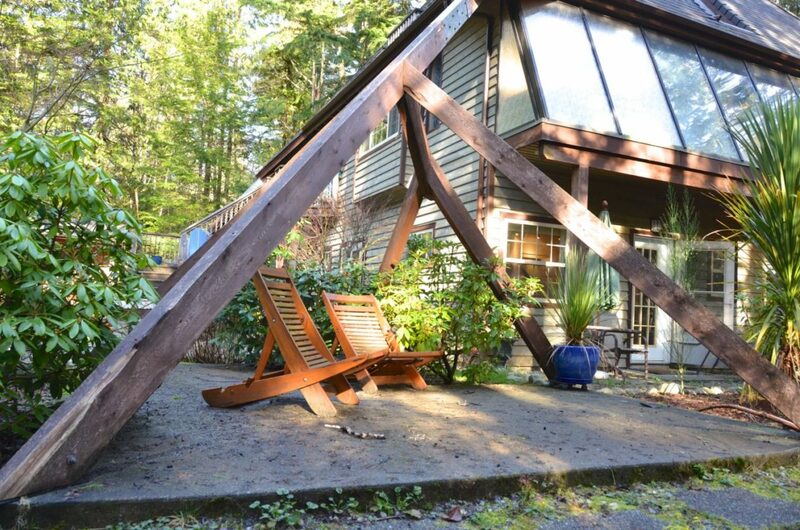 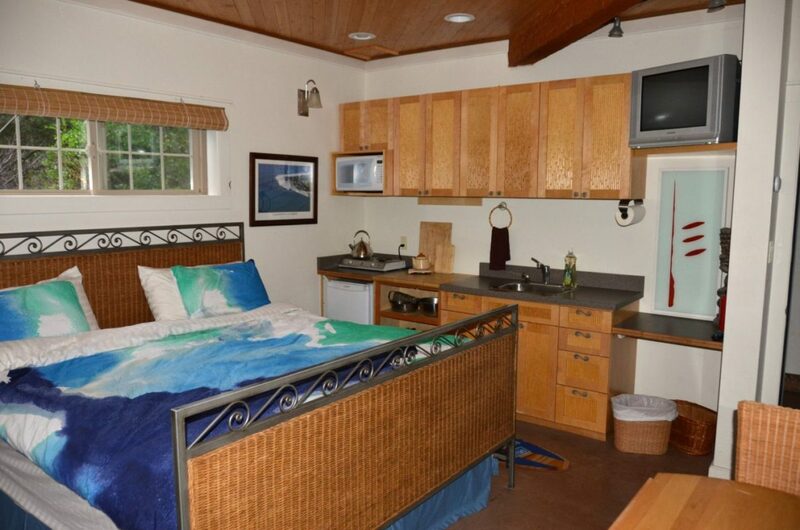 The Surf Suite was created to reflect the pursuit of the surfing experience here in Tofino. 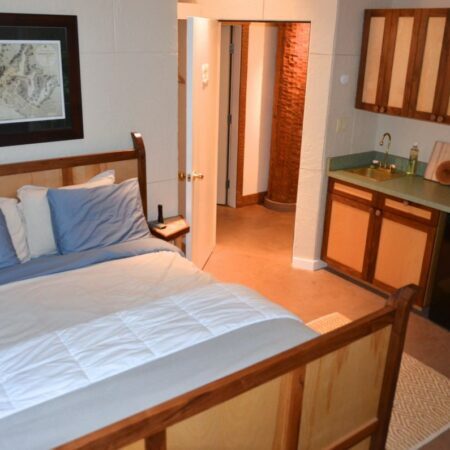 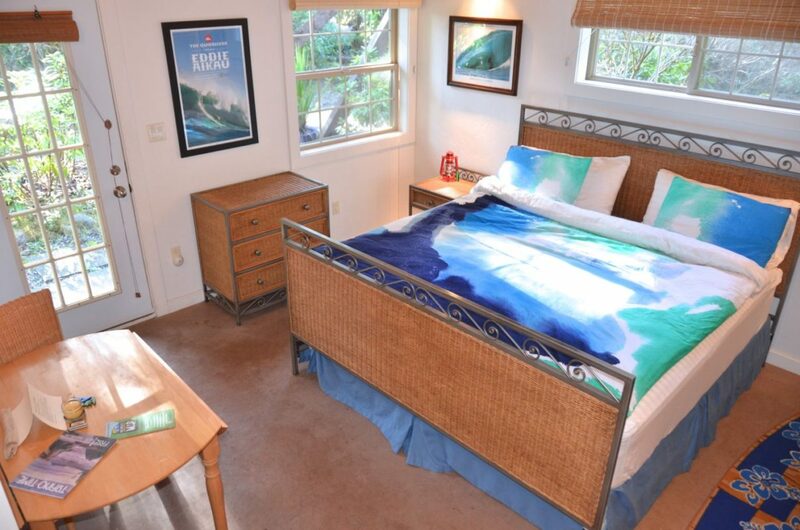 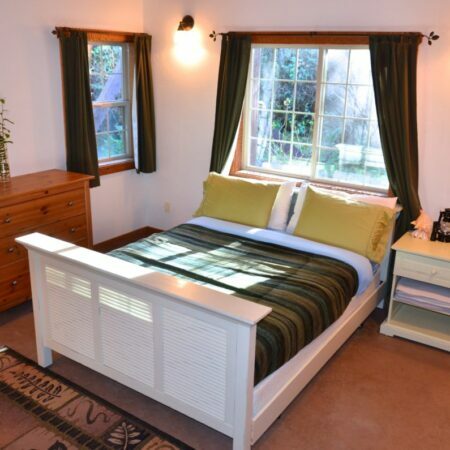 Relax on the king size bed and gaze up at the boards from surfing’s past. 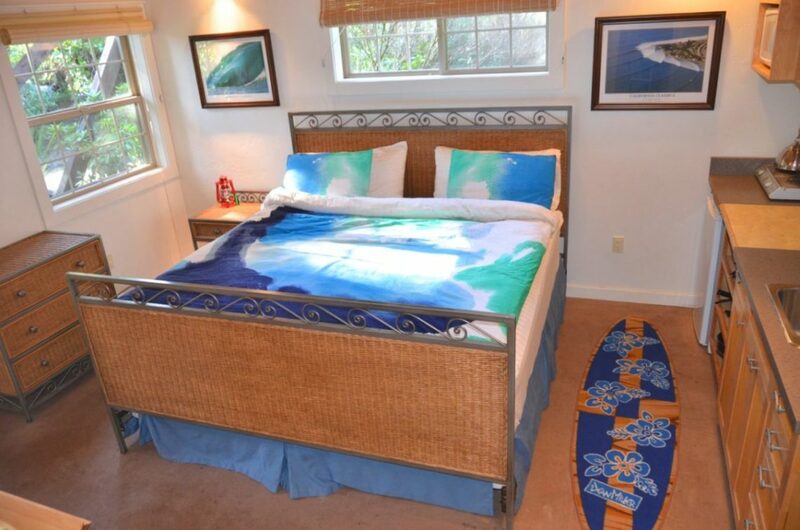 The Balsa long board surfed the great breaks of Oahu and Tahiti and the Balsa Paipo board surfed the California coast. 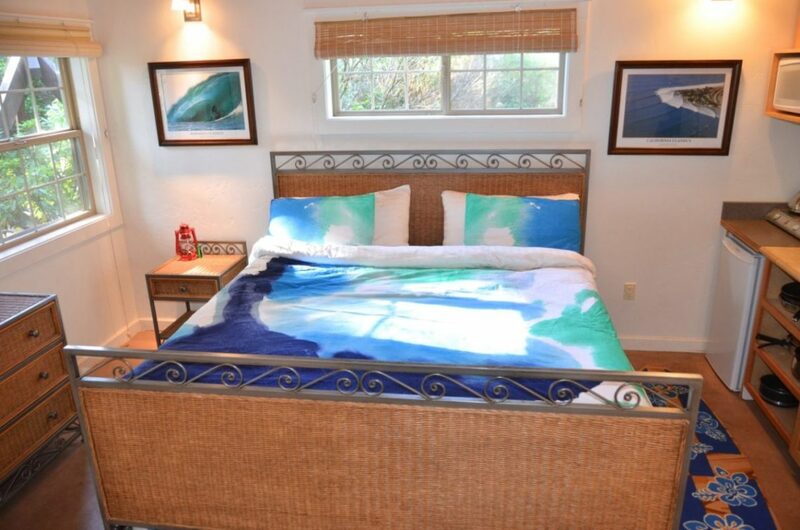 The wall hangings feature surf themed artwork: original or vintage prints. 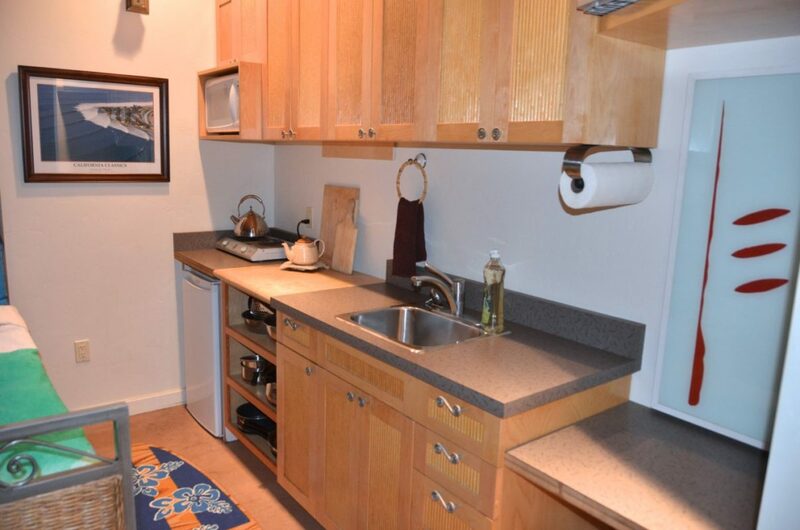 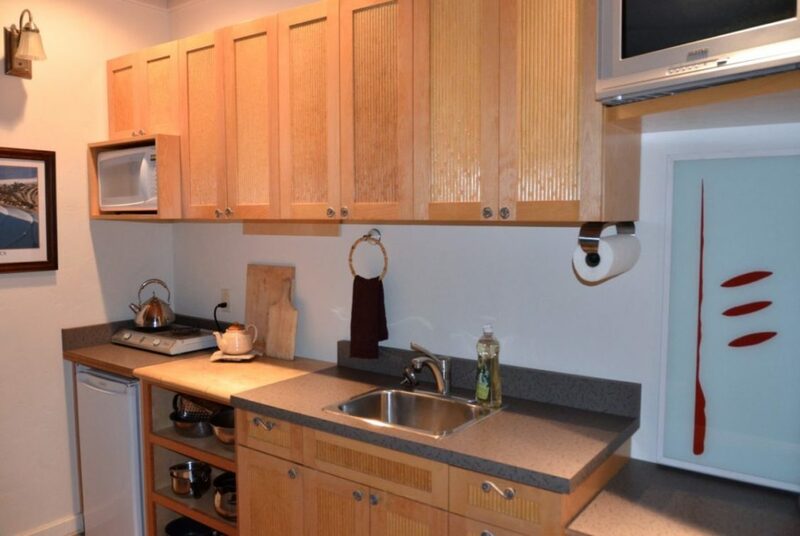 The custom cabinetry has bamboo inlayand the countertops feature tiny decorative waves. 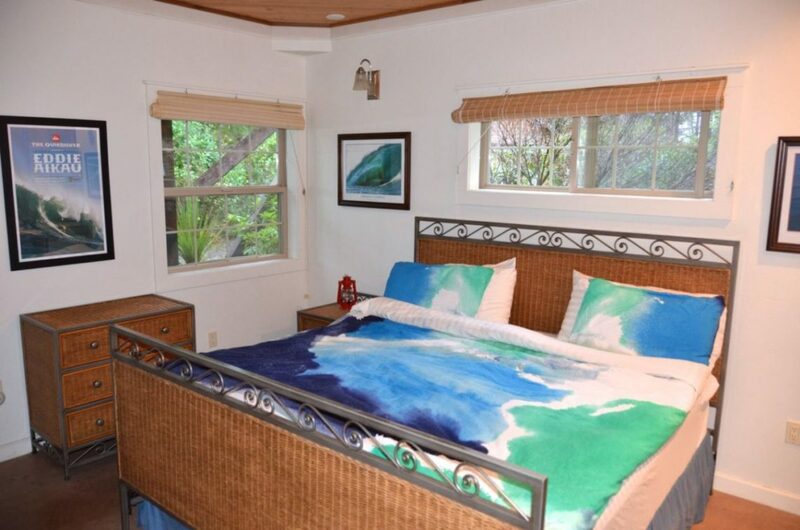 If you have a penchant for surfing and the beach, this suite is for you.